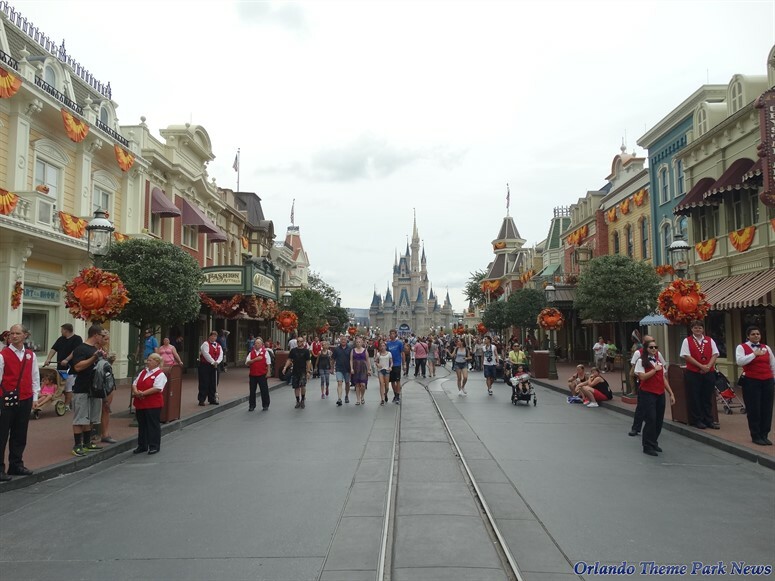 With every year that goes by, the Magic Kingdom Park continues to get busier and busier. 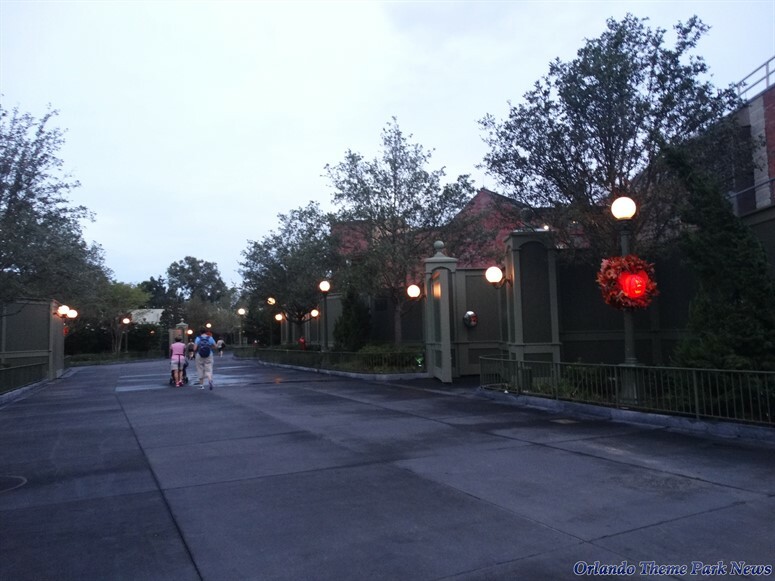 Higher parking and ticket prices do not appear to affect attendance (at least for now), forcing the Walt Disney World Resort to find ways to allow additional people inside the park while trying to avoid reaching capacity. 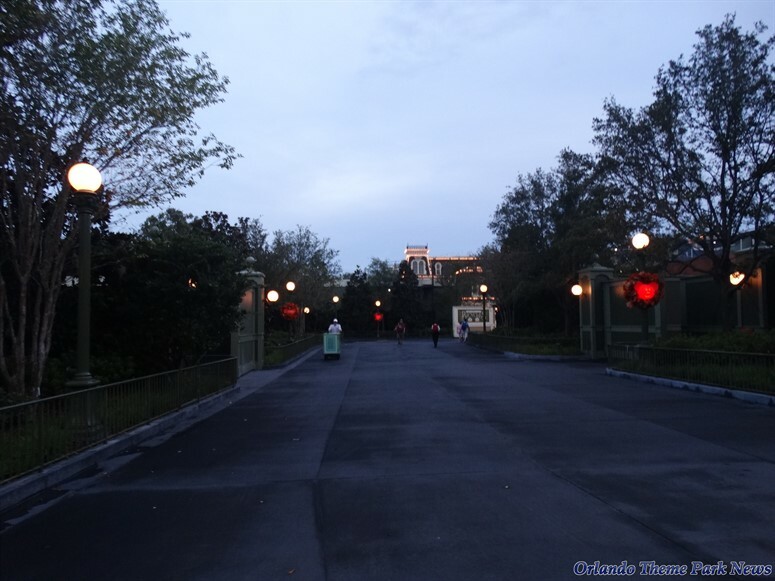 In addition to the new Fantasyland Forest and the expanded hub, the park is now using the Main Street Bypass on a nightly basis to move Guests around. 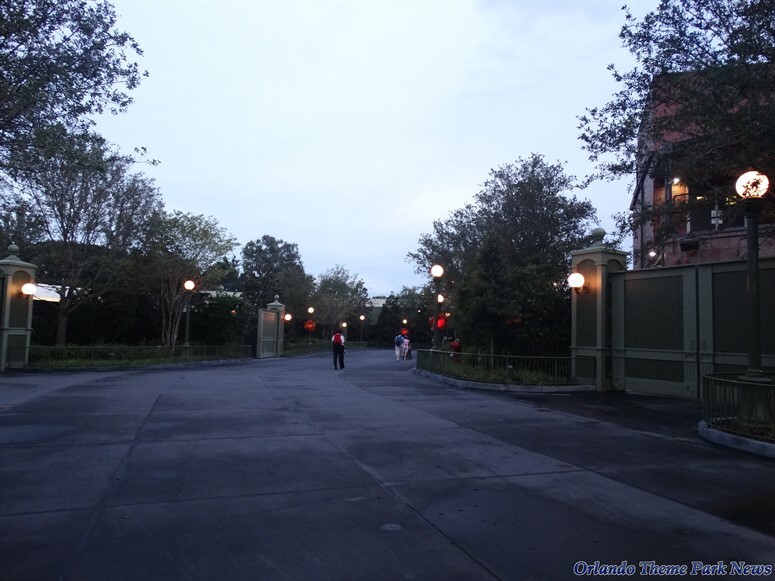 What was formerly a bare backstage road is now a themed walkways that includes period-specific lights, themed billboards, carefully-maintained planters, multiple trees, permanent walls, and even some new facades to mask the unthemed backside of some of the buildings facing Main Street, U.S.A.
And that is all for now. 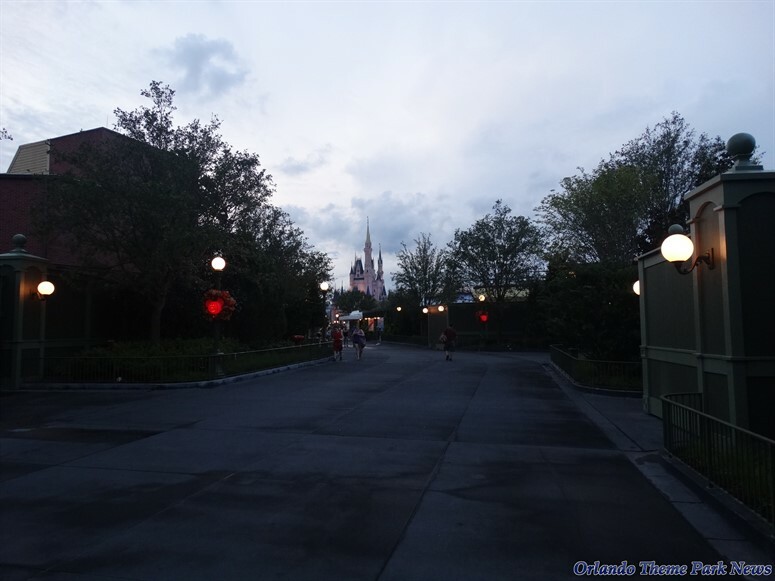 Thank you for visiting the Main Street Bypass with us, and see you again soon. It has been years since I have been in this area. The last time I used it was a busy Columbus Day weekend and was truly a backstage passage. Now you can't see much of the backstage magic. I am also surprised no trash barrels on the pathway. We went through the bypass staring from Tomorrowland a few years ago, on the 4th of July. Was the first time we'd ever been anywhere backstage. They had a few different booths set up along the path across the parking lot that's back there, a few different things going on. We reentered Main Street about halfway down, worked our way back towards the castle, and ended up with the best view we've ever had of the fireworks. Was just a neat experience to be able to stroll across that backstage area, cars, trucks, backup generator and all! I don't think you can reenter Main Street halfway down? I think it's one straight run..
Will this be open all the time now? That year on the 4th we were coming out in that side street. 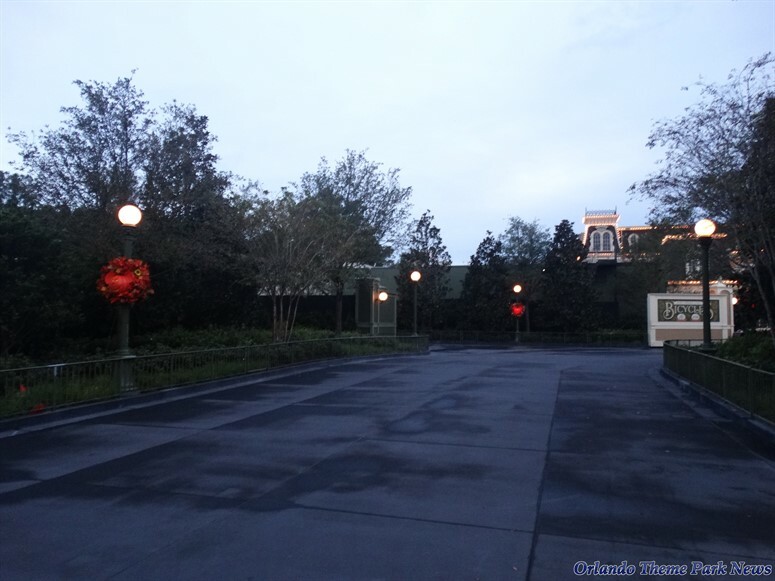 The entrance was over by the Carousel of Progress, there's a large gate in that area. The last couple of years I read people talking about entering in the Tomorriwland Terrace area, so something changed. There have always been TWO entrances to the backstage pathway. 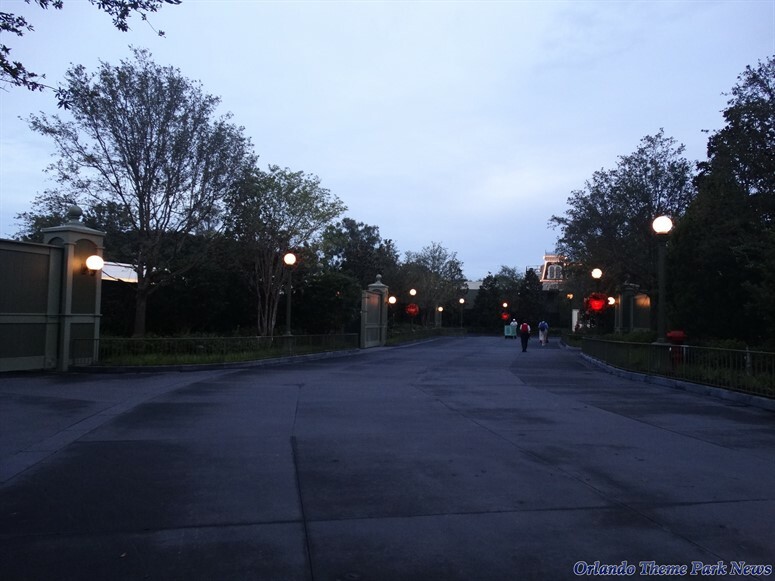 I don't think that they have done any "improvements" to the Tomorrowland leg of the pathway. Thx for the entrance info! What a great job they did! 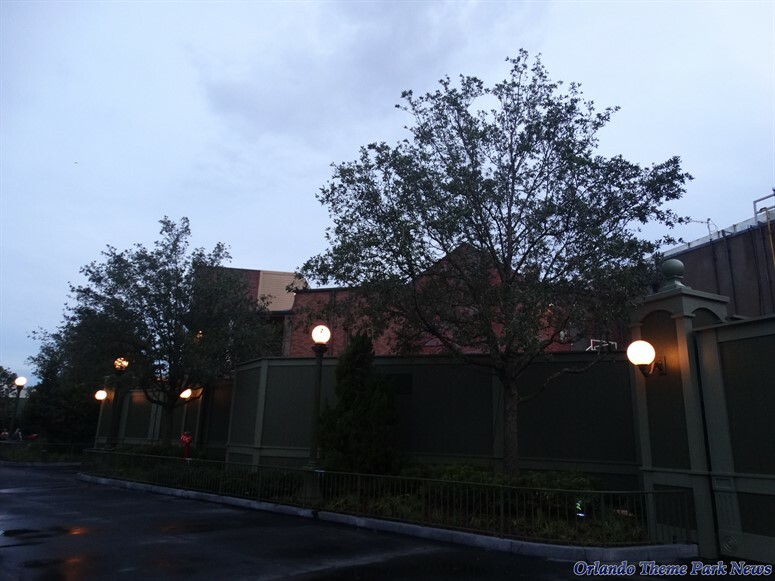 As the trees continue to grow to will cover more of the backstage. Bravo Disney! 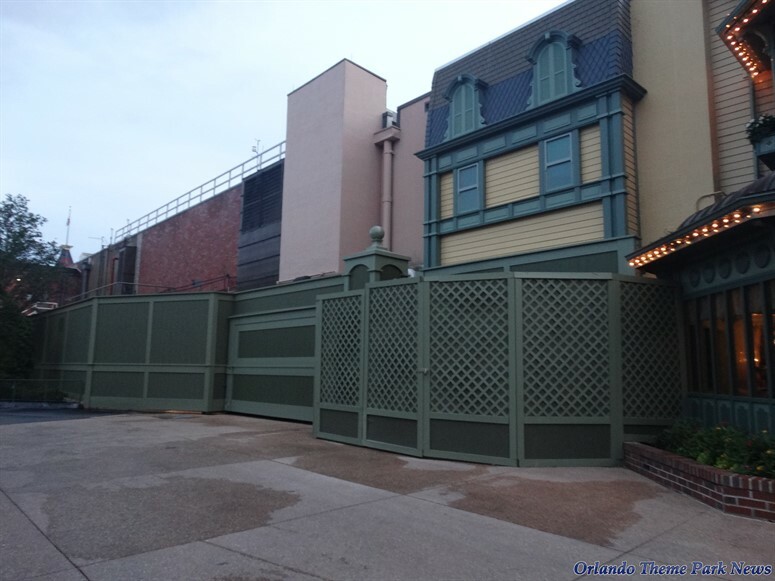 I wonder if they are going to do something similar to the other side of Main Street near the Chrystal Palace Restaurant? I also believe they will just use the bypass during extra crowded days and evenings (Special Events). 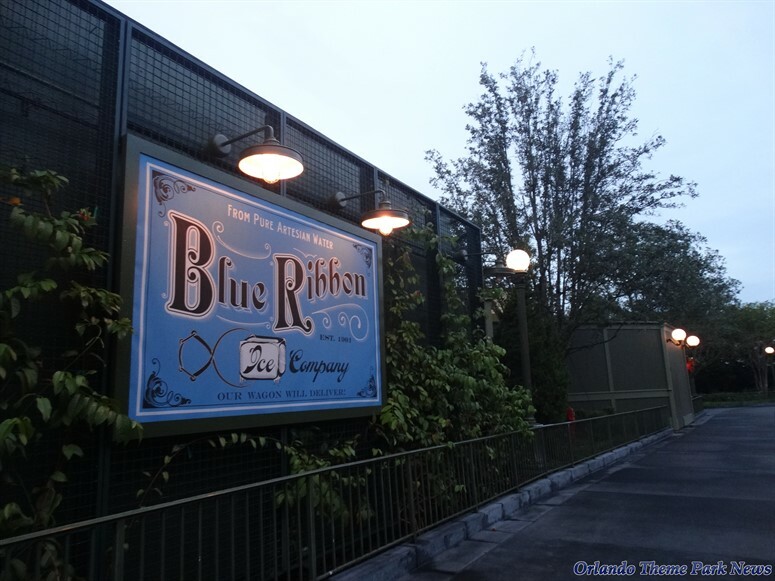 Disney does not want guests to miss out on spending some dollars on Main Street. 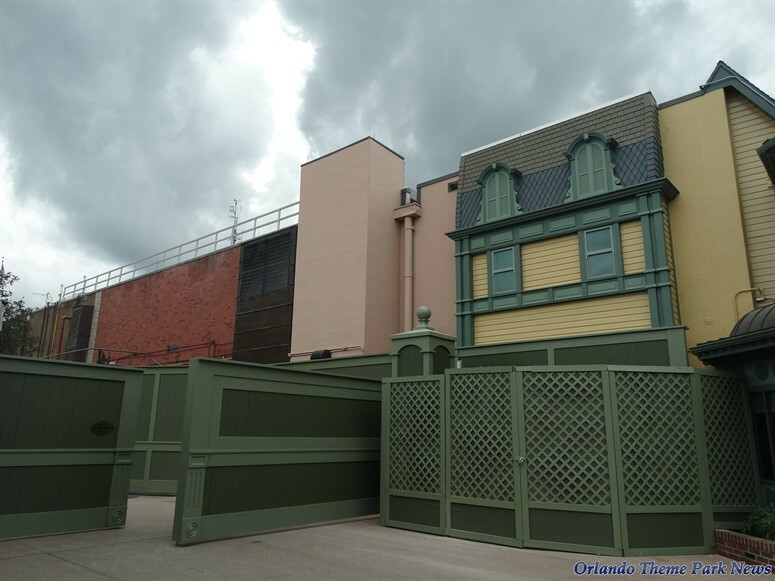 I doubt they would open that side up to guests as I hear that's where they store all the floats for the day and night time parades. They didn't solve the crowding issue at Paris with the arcades. 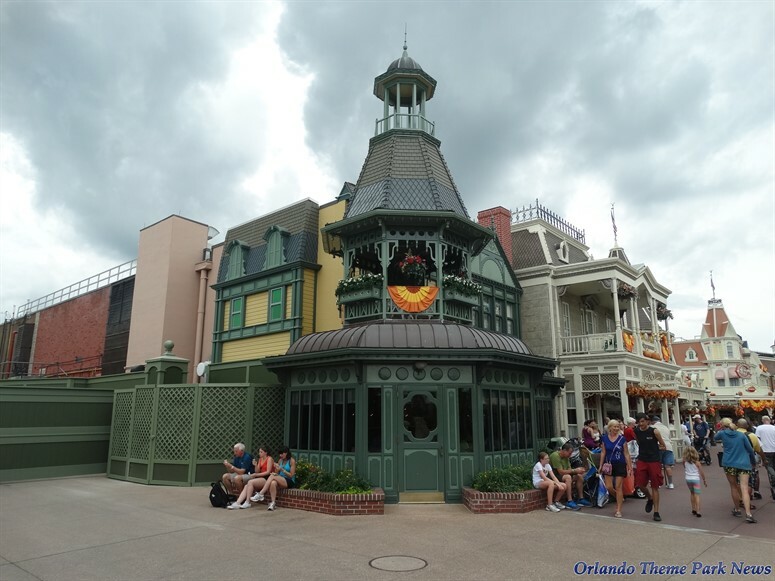 The arcades were built at the same time as the buildings they are inside and are designed so you can walk up Main Street in the cold & rain (Paris isn't as warm as Florida!). 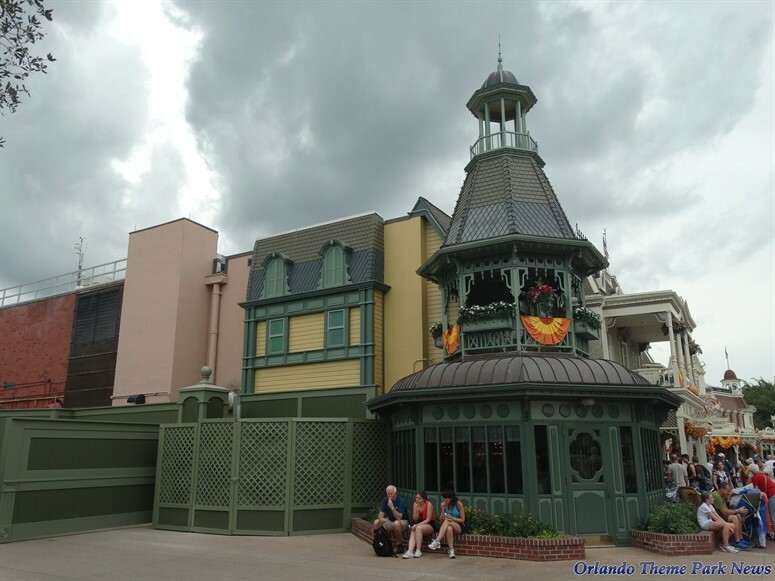 The restaurants (equivilant of Casey's) at Paris have seating in the arcade, showing they aren't for crowd reasons (although they do help with it) the arcades are a decorative feature and for cold weather. 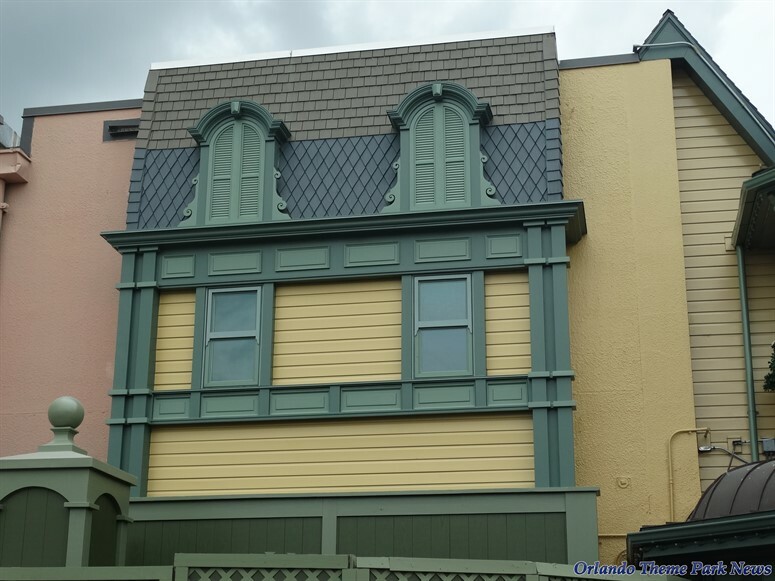 If they wanted to add that style of arcade to the Magic Kingdom they would pretty much have to demolish and rebuild the back of the buildings to get all the backstage functions in correctly. Andy, they currently use the bypass from Crystal Palace to the Fire Station already, it just isn't themed. 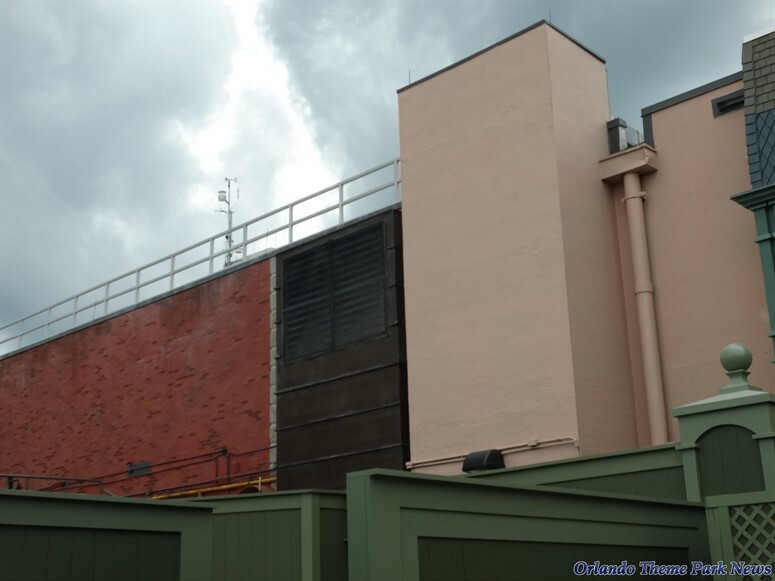 The parade floats are stored in the west backstage area (nowhere near Main Street) behind Splash Mountain and Pirates of the Caribbean as far as I can tell.